Stephen is co-author of the forthcoming book, Waging War on Complexity Costs. Previously, he co-authored the book Conquering Complexity in your Business and was a contributing author to Fast Innovation. He has a decade of experience advising senior clients in the US and Europe. He is the Managing Director at WilsonPerumal. Stephen is a published thought-leader and advisor to CEOs and COOs on critical strategic and operational issues. 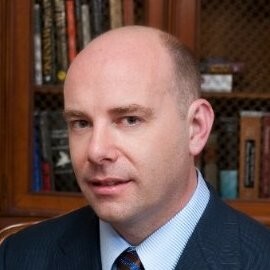 He is co-author of the forthcoming book, Waging War on Complexity Costs (McGraw-Hill 2009).